I used to solder stainless steel parts to a jigsaw blade. This review is about item#9450935. This review is about item#9450926. Very easy to use and very profitable. There is no handling shop so it is very helpful as it is a country house. Especially it can be used without problems. In case of joining thin wall stainless steel pipe and other parts, flux is indispensable. In my case I am using it for making fishing gear Yaen. Because the price is cheap, COSPA is very good and it is handy because it can be used properly. This review is about item#9450917. Very well. I thought that stainless steel was impossible to solder, but you can firmly solder it like a silver wire at all in combination with sapphire. I feel like I can not release it anymore. It is good. . . . . . . . . . . . . . . . . . . . . . . . . . . . . . . . . . . . . . . . . . . . . . . . . . . . . . It is used for soldering so as not to be frayed when cutting wire mesh. It was surprisingly easy to put together. Very useful. Although I have not used it, since I was using solder for stained glass so far, I would like to compare. I think the ingredients are the same? I thought that I would use it but I bought it but it is useless. This review is about item#09450935. 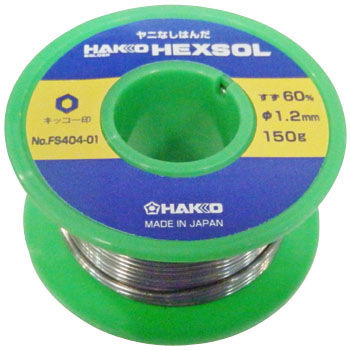 After purchasing the set items with the flux for stainless steel, I sold out the solder and purchased it for replenishment. I think that it is easy to use for soldering treatment of the cable tip because it is thinner compared to the set item. It is mainly used for model making and fraying of wires · prevention of bulkiness. Since it is a proven product, I always use it with confidence. This review is about item#09450917. It is a repeater. It gets a little hard to get used to, but you can finish it beautifully if you get used to it. This review is about item#09450926. Although flux is used in combination, flow is very satisfied very much. It is beautifully finished and satisfied. It can not be smooth unless the member is sufficiently heated. Pretty familiarity was necessary. It is a repeater. This is the only thing that is easy to obtain without a tick. I am happy to have 1kg.